I love how a small touch can make a room come to life. I tend to go shopping with an open mind and let my senses guide me. Typically, I don’t even have the arrangement in my head when I pick a selection of flowers. I prefer to be spontaneous when it comes to flowers and it’s always an exciting surprise to see how it turns out. For this arrangement, I added green hydrangeas to break up the darkness. Once you pick a focal point, work around it filling it in on all sides. I kept the burgundy African Roses and the burgundy Dahlias on the perimeter to fill in the space. Lastly I added the berry stems and some of the other non-conventional flowers scattered within the bouquet. 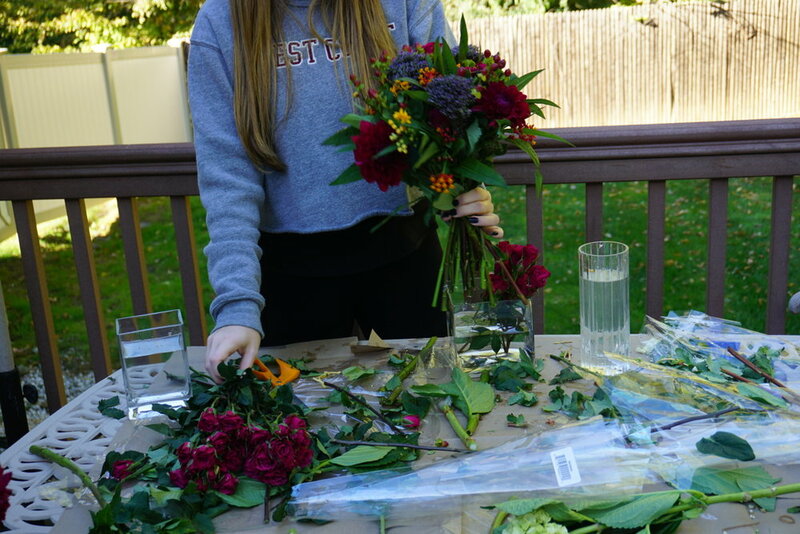 The two major tips I would say when it comes to flower arranging: Make sure you ask what water temperature is needed for the flowers (some require warm rather than cold) and most importantly HAVE FUN! Enjoy the slideshow below of the final product. 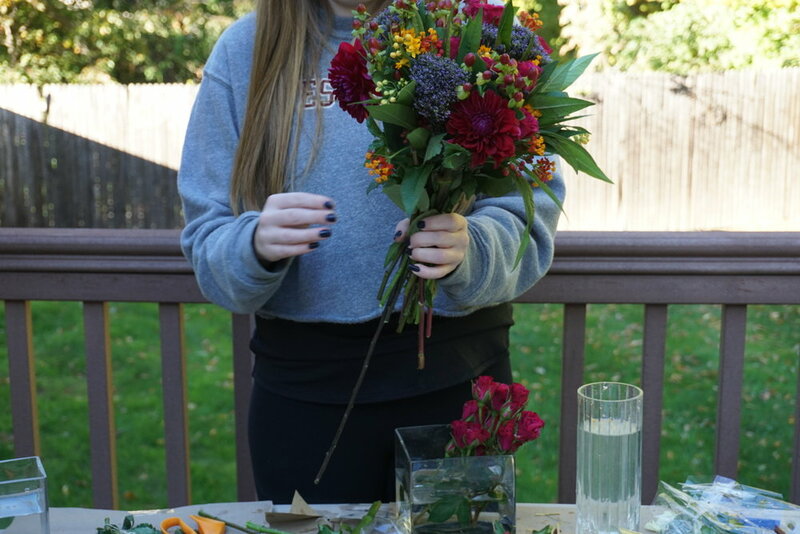 If you are looking for more arrangement inspiration go to the the "Made in NY" tab and check out FLOWER CHILD.